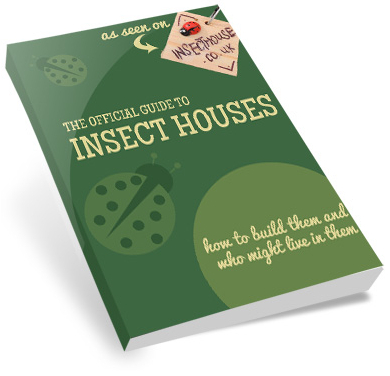 You are here: Home » News » Attack of the killer hornets! Attack of the killer hornets! Asian Giant Hornets or “AGHs” Vespa mandarinia have recently been blamed for a series of deaths in rural Shaanxi in northwest China. 41 people are reported to have died from hornet stings in the last 3 months alone. Anyway, you don’t need to make up scary names for this critter – it’s scary enough on its own. At 50mm (2 inches) long, with a 75mm (3 inch) wingspan and a 6mm (1/4 inch) sting, this is right up there with the very nastiest flying things you’re likely to encounter. Added to all that, it’s got a mean look in its (compound) eye and a voracious appetite. The AGH’s sting injects a potent mixture of enzymes and neurotoxins which start eating away at your fatty tissue at the same time as inducing anaphylactic shock and shutting down your kidneys and liver. But of course, AGHs evolved long before mammals, so the dramatic effect of their sting on humans and other warm-blooded creatures is a bit of a side-effect. The main reason for the venom is to hunt insect prey – mantises, other wasps, but mainly bees. Just a single AGH can cause multiple casualties in a bee hive, but they rarely hunt alone. A gang of AGHs can wipe out a hive in a matter of minutes – their jaws can easily slice a bee in two, while their sheer size means the bees’ stings are ineffective against them. However, the Japanese honey bee Apis cerana japonica has developed a nifty defence mechanism: when the worker bees spot an AGH infiltrating their hive, they quickly form a ball around it, smothering it. This has several consequences – the AGH can’t kill as many bees because it can’t get to them (a few of the brave defenders may die, but that’s better than the massacre they will have averted). Also, the bees starve the AGH of oxygen and increase the amount of carbon dioxide it has to breathe, which gradually suffocates it. And the bees buzz to warm the AGH up, eventually killing it by overheating it. No other bee species can manage this – attempts to introduce European honey bees Apis mellifera into Japan for their superior honey production have largely failed because of AGH predation. But back to Shaanxi. Why so many attacks? Like many social wasps, AGHs signal to each other when they’re under threat (Henry explains that “social wasps” live together in nests with a single queen. Catherine says: that means they’re friends! And sisters, Catherine: they’ve all got the same Mummy). And since they are indeed all sisters, what they’re signalling is something along the lines of “come on girls, let’s get ’em!”. So one sting almost always leads to another, and another, and another. AGHs will also chase a victim relentlessly. Normally, people would stay well clear of such a dangerous insect, but AGHs make their nests underground or in tree stumps, which means they’re fairly easy to stumble upon and that’s when they come out fighting. Competition with farmers for space in the countryside is also increasing the number of attacks, and it doesn’t help that AGHs are attracted to bright colours, sweat, sugar and alcohol. But there is some good news. 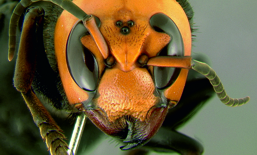 Like many hornet species, AGH populations vary cyclically (Henry says: that means some years there are lots, and some years there are hardly any). So it maybe that we’re just witnessing a boom in numbers – “peak AGH” if you like – which will subside naturally in time. Scant comfort, meanwhile, to the Shaanxi villagers requiring kidney dialysis as a result of their AGH encounters.